The Urban ArtFarm is an experimental station for Urban Agriculture. 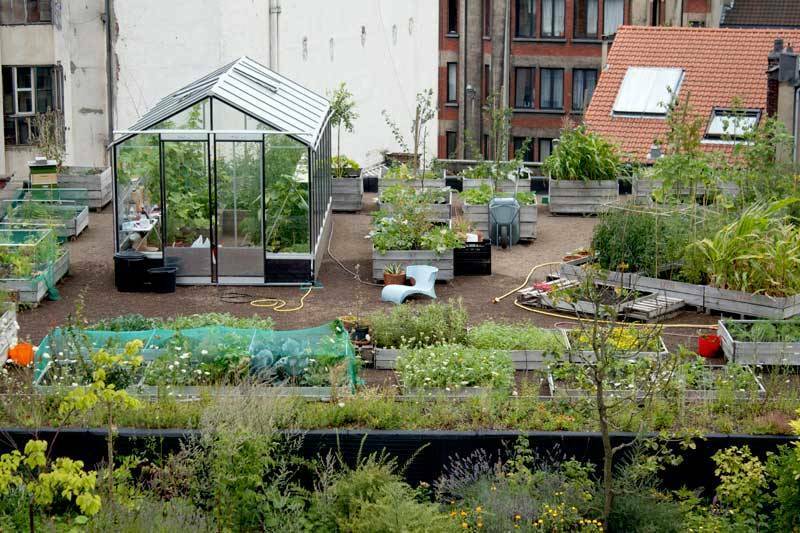 It researches and analyses the pro and contra’s of growing food in the city on rooftops of bigger buildings, with the help of green DIY technology. How does a rooftop ecosystem deal with energy, water, soil and green technology? What does the project represent financially? How do plants and animals (city honeybees) interact with this artificial ecosystem? UAF (Urban ArtFarm) is an open air laboratory that connects with the city. The base station is built on contiguous rooftops in the historical center of Brussels, connections or nodes to this location can be setup on any other rooftop that is suitable for the purpose. 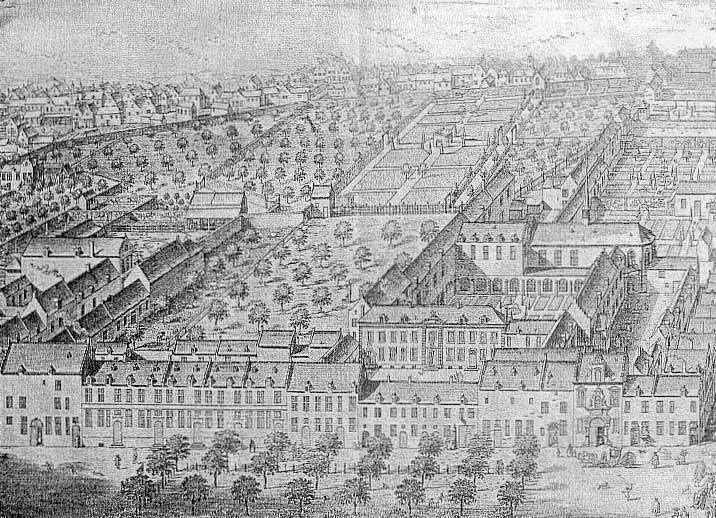 The groundlevel location of UAF is the place on the Brussels’map where a network of medieval market places and monasteries intermingle. 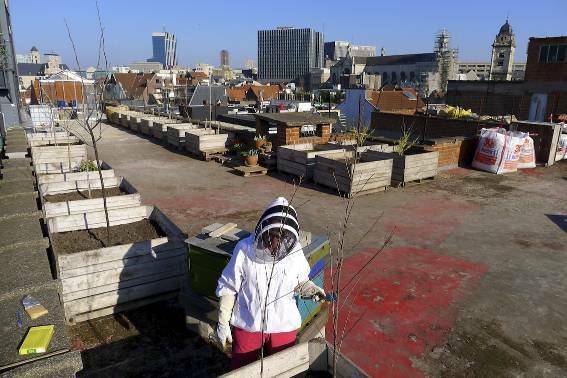 The Urban ArtFarm, set on the 6th floorlevel of this place, on the roof of a parking lot, is a place where artists and urban gardeners can develop new strategies for sustainable living in the city. An artistic approach, green DIY technology and a permaculture philosophy should present new opportunities to the citizens to connect to food, food security and sustainability. To get a timeline of the development of the edible forest garden and the urban ArtFarm, follow the posts in chronological order, starting at the bottom of the page. Or how to spend your free time in summer. The pantry is loaden with the abundance of summer harvest. We are cooking, steaming, drying, freezing, potting and processing roots, fruits and vegetables in all different ways. We dry leaves for tea (fennel/leaves, vanille, liquorice, fennelseeds, bitter orange peel) and for making medicinal recipes. Companion planting is the planting of different crops in proximity (in gardening and agriculture), on the theory that they assist each other in nutrient uptake, pest control, pollination, and other factors necessary to increasing crop productivity. Companion planting is a form of polyculture. During a few sunny spring weekends we work with a bunch of friends to install the farm on the parking rooftop Dansaert2, and to bring the farm to its full capacity: 44 containers of 125cm x 125cm. The containers are palox europallets, recycled from small fruit&vegetable companies. They are made of hard oad wood. We customize the containers on different heights, suitable for growing herbs, greens, roots and small trees. We connect local OpenGreens in an international network of experimental gardens where artists work with natural processes. These gardening situations serve especially to look into microsociological and ecological systems related to time as starting points for the development of new artistic practices. The OpenGreens allow us to study the implementation of contemporary art in an ecological context and to observe and draw content from eco-data and natural patterns and processes. Each different crop will be grown in a wooden palox box of 125×125. With 1m3 (1 cubic meter) of soil we can fill up 4 to 5 boxes with a layer between 12 and 30 cm of bio-soil, mixed with compost or ecoveen (along the needs of the plants). At dewinter groencompost, we ordered in januari 2012: 6 x 1m3 teelaarde + 2 x 1m3 edelcompost + 1 x fijne groencompost + 1 x ecoveen. December 2011 I made the first designs for the creation of an Urban ArtFarm. Sustainable gardening: design, construction, operations and maintenance practices that meet the needs of the present without compromising the ability of future generations to meet their own needs. This can be reached by attempting to protect, restore and enhance the ability of landscapes to provide ecosystem services that benefit humans and other organisms.